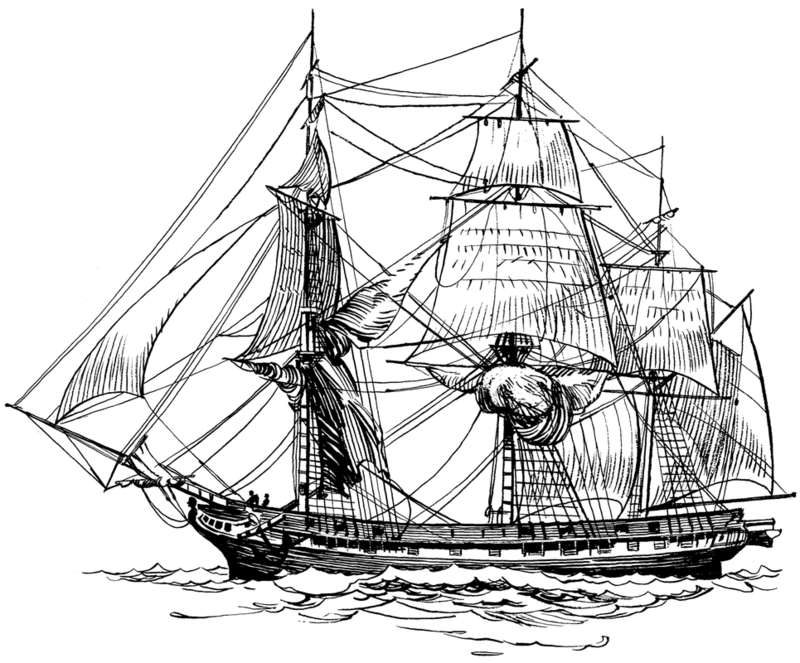 A voyage is defined as "a course of travel or passage, especially a long journey by water to a distant place" and this was certainly true for the colonists bound for Russia. Russian recruiters promoted Catherine's Manifesto throughout the Germanic regions of Europe, luring thousands with its promises of a better life in a faraway land. Given that the majority of Norka colonists originated in Isenburg or Hessen, it is likely that most gathered in the town of Büdingen before traveling by land and water to the Baltic Sea port of Lübeck. Lübeck was favorably located and had long been a part of Hanseatic League, a medieval mercantile association that prospered from maritime trade in northern Europe. Lübeck enjoyed long and successful trade relations with Russia and was also on very good terms with Catherine II's government. 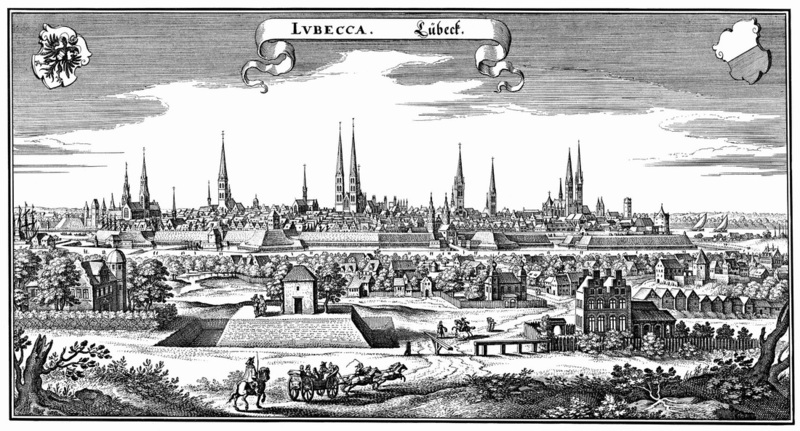 Drawing of Lübeck created by Matthäus Merian the elder in the 17th century. Source: Wikimedia Commons. Russian officials appointed Commissioners Christoph Heinrich Schmidt (a Lübeck merchant) to organize the transfer of the colonists from Lübeck to Russia. The Commissioner was paid 500 to 600 rubles annually and he was responsible to provide housing in Lübeck, avoid conflicts with the local population, and to arrange the booking of ships to transport the colonists to Russia. In Lübeck, the colonists were housed in variety of accommodations including specially built barracks, hotels and warehouses that were modified as temporary living spaces. The colonists were provided with a daily allowance of 16 Kreuzers (in English - Kreutzer) for men, 10 Kreuzers for women and adolescents and 6 Kreuzers for a baby. Most of those who would settle in Norka arrived in Lübeck at the peak of emigration to Russia. In the spring of 1766, more than 10,000 colonists lived in and around the city. Severe weather at the end of April and early May prevented travel on the Baltic Sea resulting in a backlog of departures. At the same time, Commissioner Schmidt was suffering from tuberculosis which halted his work. Fearful authorities in Lübeck did all they could to prevent the mass of emigrants from entering the city. Gabriel Christian Lemke (a Lübeck lawyer) was appointed by the Russian government to replace Schmidt, who did not retire, but did not have the strength to continue his work. Schmidt died on May 30, 1766. Lemke hired additional staff and obtained loans to cover higher than anticipated costs related to the delays. Lemke also reorganized the work and selected leaders of each group, the Vorsteher, who were responsible to distribute provisions amongst their group and helped maintain order. Before his death, Commissioner Schmidt initially contracted for transport ships from Lübeck merchants. When it became apparent that the flow of colonists was greater than the Lübeck ship capacity initially under contract, two large English frigates capable of carrying up to 1,100 people were chartered. One of the English frigates was the Love and Unity under the command of Thomas Fairfax. The name of the other frigate is unknown. Several Russian packet boats and pinks also provided significant assistance in transporting the colonists. Packet boats would generally carry 70 to 80 people and the pinks would generally carry 280 to 290 people per voyage. The Commissioners were allocated 2 rubles per male and 1.5 rubles per female and child to cover the cost of sea transport. These sailing vessels were normally used for cargo and were poorly adapted for transporting passengers. Historian Igor Pleve states that lists of the colonists were made in Lübeck as they boarded the ships. These records were necessary for the compensation of the Russian appointed Commissioners. Unfortunately, these long sought after departure records have not been found. ​The approximately 900 mile sailing from Lübeck, across the Baltic Sea, to Kronstadt, Russia would normally average nine days. Inclement weather and unfavorable winds could prolong the journey to several weeks. The colonists departed from Lübeck full of hope and anxiety for the future. As they saw the church spires that shaped the city's skyline and the old lighthouse at Travemünde fade in the distance, they surely felt great sadness knowing they would never see their homes again. The old Travemünde lighthouse built in 1539. 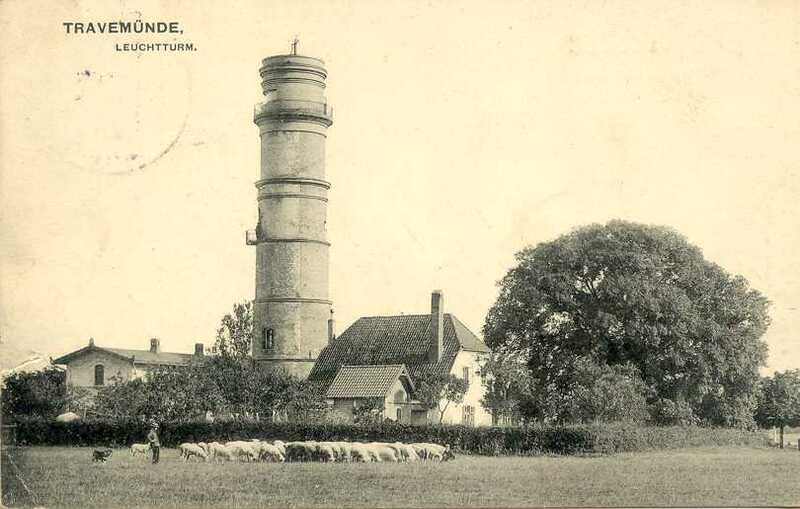 Source: Website "Lighthouses of Germany: Flensburg to Lübeck." 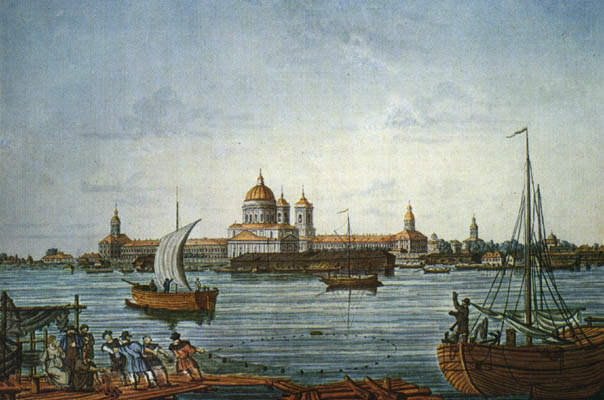 Igor Pleve states that from May to September of 1766, 22,711 colonists arrived in Russia from Lübeck. This amounted to over 74 percent of the total colonists that arrived in Russia between 1763 and 1772 and comprised nearly all of the Norka colonists listed in the 1767 census. Most of the colonists arriving in Russia by sea first first disembarked at Kronstadt where their documents were verified and customs inspections were made. Kronstadt was an island fortress designed to protect the sea lanes to St. Petersburg. 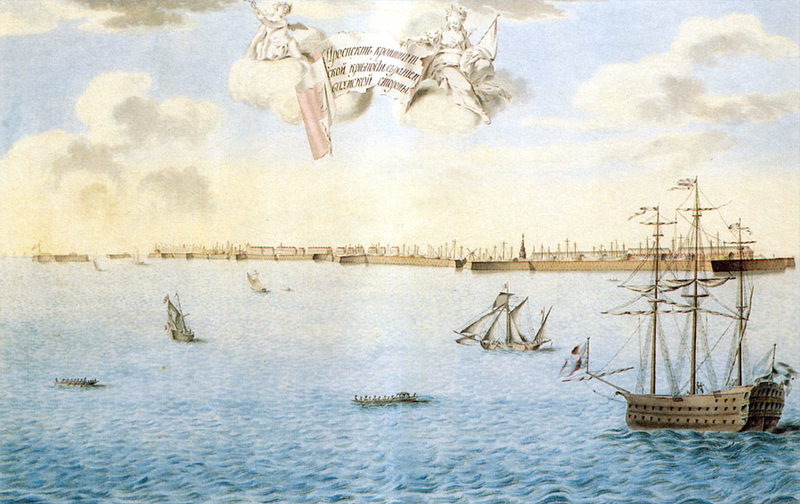 From Kronstadt, the colonists were transported a short distance by six-oared boats, manned by Russian sailors, to the town of Oranienbaum (now Lomonosov) on the mainland. The island fortress of Kronstadt in 1780. Source: Unknown. After arrival in Oranienbaum, the colonists were under the supervision of Titular Counselor Ivan Kulberg. Kulberg made lists of the colonists for the Chancery of Oversight of Foreigners located in Saratov. The lists were made for each ship arrival and included the date of arrival in Russia, the port of departure, the owner of the ship, the name of the ship, and the name of the captain. The colonists were each listed by name and usually grouped in families. Generally, their place of origin in Western Europe is provided along with their religion, age of the children, and their occupation. The recording of this information was in Russian and the accuracy was dependent on the work of each of the Russian clerks who may have had a limited understanding of the German language and the various dialects. 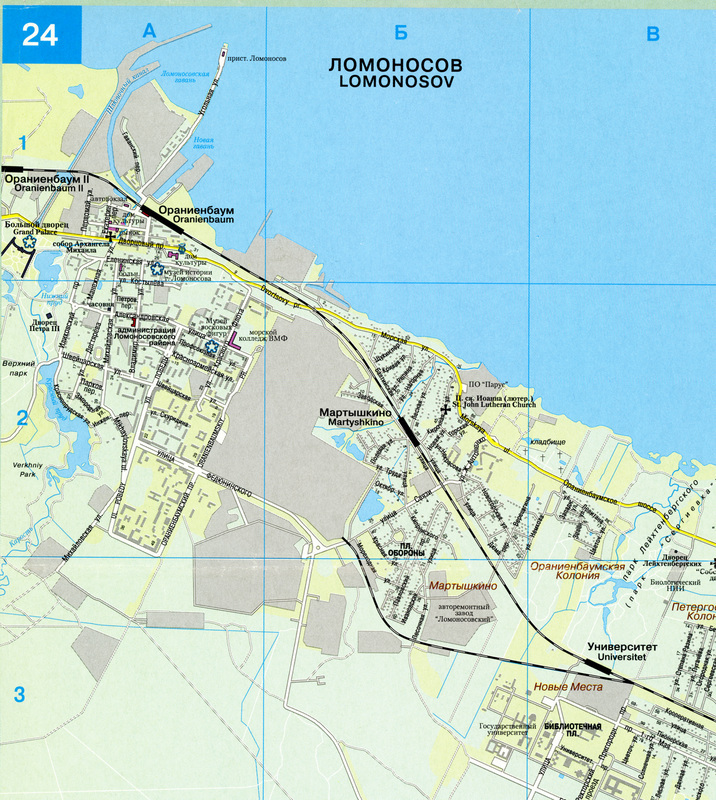 Map of Lomonosov (formerly Oranienbaum) showing the Grand Palace of Catherine II (section A-1). The canal which led from the Gulf of Finland to the palace can be clearly seen although it no longer is open to the sea. The Volga German colonists arrived on the mainland through this canal after their initial landing at the island fortress of Kronstadt. Courtesy of Steve Schreiber (2006). Large groups of colonists that would settle in Norka sailed from Lübeck and arrived in Oranienbaum on August 9, 1766 and August 29, 1766 aboard the Russian pink Slon (the Russian word for Elephant) which was commanded by Lieutenant Sergey Panov. Over 40 households, primarily from Isenburg, traveled together on the two voyages of this ship. Kulberg recorded three Vorsteher (leaders) traveling on this ship: Johann Conrad Weigandt, Johann Heinrich Brill, and Philipp Peter Roth. At its founding, Norka was initially named Weigandt to honor their primary leader, Johann Conrad Weigandt. Other colonists who would settle in Norka arrived in Oranienbaum on a variety of other ships from early July to mid-September of 1766. The colonists stayed in Oranienbaum for an average of one or two months learning about Russian laws and traditions and preparing for the journey ahead. Each colonist also swore an oath of loyalty to the Russian crown. The oath was often administered at the Lutheran church in Oranienbaum by the Rev. Johann Christoph König. It was said that Catherine II would, on occasion, greet the colonists in their native tongue from the balcony of her Grand Palace in Oranienbaum which overlooked the canal providing access to the Gulf of Finland. Etching by Mikhail Makhayev of the Prospect of the Grand Palace in Oranienbaum circa 1756-61. This drawing shows the balcony of the palace and a ship anchored in the canal leading to the Gulf of Finland. Source: Wikimedia Commons. The colonists temporarily lived in wooden barracks that had been constructed for soldiers from Holstein who served Russian Grand Duke Peter Fedorovich. Peter was born in Kiel and was also the Duke of Holstein. In Oranienbaum, Peter created his own personal Guard, consisting of soldiers imported from his native Holstein, and these soldiers were educated and clothed in uniforms along Prussian lines. Peter entered an arranged marriage with Sophie Friederike Auguste from the small German principality of Anhalt-Zerbst and she became Grand Duchess Catherine Alexeyevna. Following the death of his aunt, Empress Elizabeth, Peter became Emperor Peter III of Russia in 1761. After Peter's assassination, Catherine became Empress of Russia and would later be known as Catherine the Great. Ironically, the barracks built by Peter for his Holstein soldiers would be used to facilitate Catherine's colonization program. Medical care was provided by the Russian government and administered by Dr. Prais at a hospital near the Alexander Nevsky Monastery in nearby St. Petersburg. The new arrivals received an allowance of 12 to 18 rubles per family or 4 rubles for single and unmarried people. Before departing on the next part of the journey to the Volga, the colonists were provided with winter clothing and necessary household items. View of the Alexander Nevsky Monastery (Alexander Nevsky Lavra). Color engraving by I.A.Ivanov in 1815. Source: Wikimedia Commons. Image in the public domain. On its face, Catherine's Manifesto allowed the colonists to settle anywhere in Russia they desired. In practice, the colonists were strongly directed by Kulberg and his assistants to settle near Saratov. Kulberg had to persuade many colonists, especially they many artisans, to continue on to the lower Volga where they could practice their trade in addition to farming. This deviation from Catherine's Manifesto was likely a practical matter for the Russian government. They had established an efficient system for moving and settling large numbers of people near Saratov. The cost and resources needed to move colonists anywhere they desired in Russia would have been prohibitive.